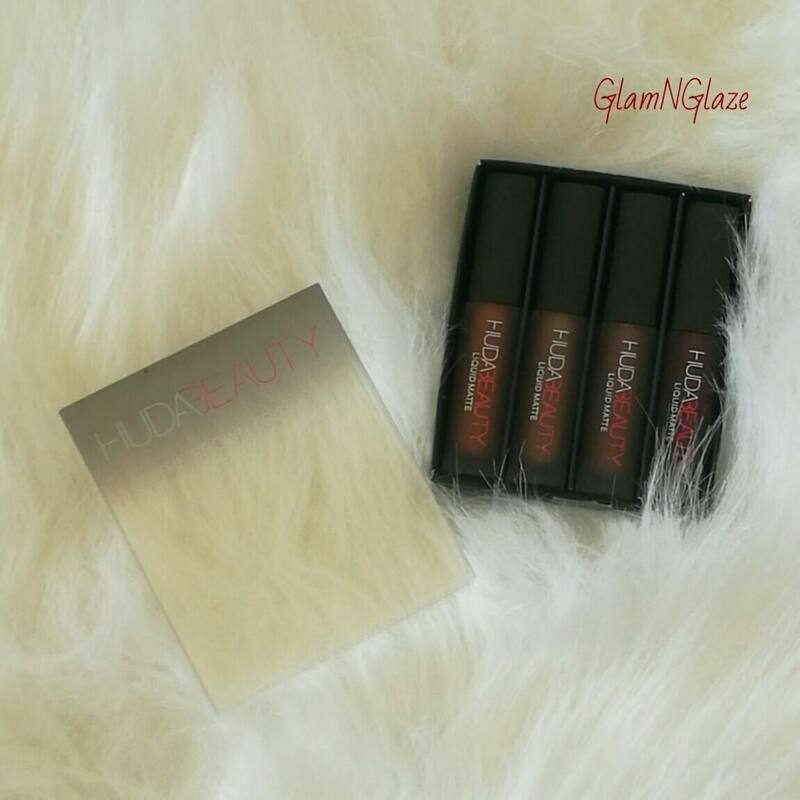 Today I am going to review HUDA Beauty's Liquid Matte Lipsticks,Mini Brown Edition. 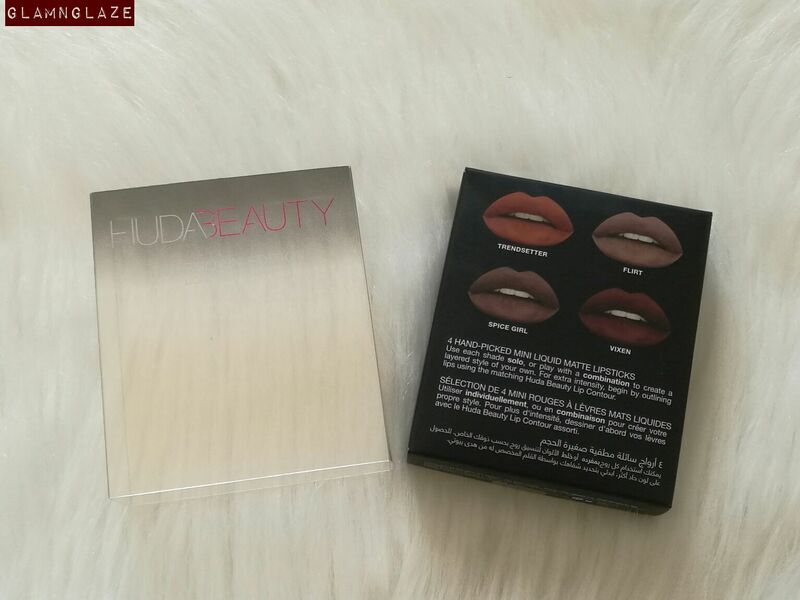 The Liquid Matte tried and true comfort-wear formula from top beauty expert, Huda Kattan, is infused with antioxidants and an exclusive complex to help maintain the lips' hydration. The lightweight formula glides on a thin coat of color that intensifies as it sets to a matte, transfer-free finish with amazing staying power. You might even forget you're wearing anything on your lips at all! Vixen- It's a very deep brown shade that will suit deep-skin tones well apart from fair and medium-skin tones! The shades can be seen easily from the outside through the transparent sheet...nice! 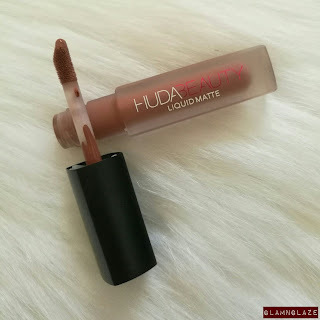 Overall,I like the brown edition of the Huda Beauty,liquid matte lipsticks. 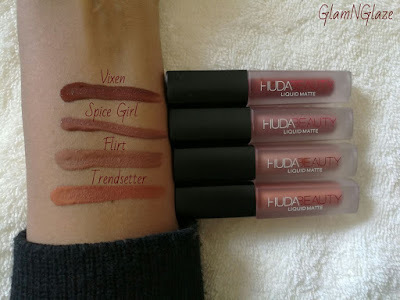 I highly recommend that you check out these lipsticks! Yes,will purchase the full-size of the lipsticks.My favourite shade out of the four is Trendsetter!